I’ve been hovering around the blogosphere for months now. Stalking almost. Becoming immersed in the culture, the style (oh, the style) and subjecting my poor bank account to rigorous workouts in an effort to keep up and emulate what I’ve seen. Of course it was only a matter of time before I tried dipping my toe in, which I have at times, and other times chickened out. But then I found an excuse to really push myself and dive right in at the deep end. 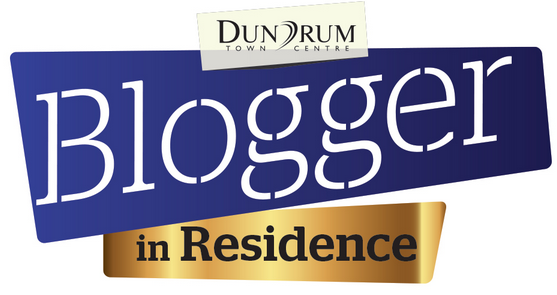 Dundrum Town Centre have announced an incredible competition in search for their own “Blogger in Residence”, and with that amazing opportunity comes a Prize “Vault” full of Must-Haves and Do-Wants! For the first round we’ve been asked to choose one item from the prize vault and write a 150-word blog post about one fashion must-have we couldn’t live without it – so if I was to pick one thing out of this treasure trove I would have to go for the handbag. So here goes nothing! If there’s one thing I can’t do without it's a handbag, and a sizable one at that! While I have reigned in my oversized habits, I still manage to carry an alarming amount of stuff around but believe me from hairclips, make-up, books, pills and potions I’ll need them all at some point. Coco Chanel said “Elegance does not consist in putting on a new dress”, I’d like to think a great handbag plays a role too. Let's not forget how our trusted handbags are fashionable as well as practical. Be it a clutch, tote or a satchel, that pop of colour, extra embellishment, or a knowing nod to a trend - I can rely on it to keep me both organized (albeit organized chaos) and fabulous. Shoes may not always be comfortable, you can’t wear a fur coat in summer; but you’ll never go wrong with a good bag. Why, it's the Night Before Pay Day!